was painful. Ask your mother, the mack daddy across the street, your friends. Everyone has a favorite Luther song. Or two. Or ten. I are in full agreement, this is just a partial list. 16 – Luther Vandross – Don’t You Know That? 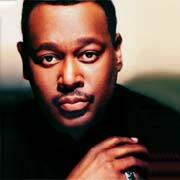 Radio.Blog Tribute to Luther Vandross – R.I.P. Thank you, what a great voice, the man made everything sound gold. Luther sure will be missed. When it comes to ballads, he was the King Balladeer. Such a loss… Thank you for this tribute. EJFlavors, oh my gosh. I’m still sort of new to the blogging experience and came back to your blog and realized that your Luther tribute was a radio blog and not just a list of favorite songs. Right now I’m enjoying listening to your radio blog. All I can say is that your tribute to Luther is so wonderful, because it took me down memory lane. I can mark certain times within my life, because they were punctuated with Luther’s songs. I have to add you to my blogroll at once. Thanks, man…I really needed some Luther in my day – he will be sorely missed. May he rest in eternal peace. yeah thaknks for the tribute, luther was one of my idols. This guy provided a lot of songs to what i consider the soundtrack of my life. I grew up on Luther at a early age. Your right, they dont make them like him any more. Im just glad he left us with so many classics. Luther will definitely be missed, For always & Forever. This hit me hard. Yeah, I know he had been in recovery and all, but to know with a definite that the world has lost big and little Luther is something to swallow. The man left a legacy of great music. His voice, his words, his music are something I’ll be listening to for years to come. Is it a sign that we’re really getting old when folks we grew up listening to are dying? RIP Luther. *Whispering* EJ let’s pour a lil’ out of our birthday drink glasses for Luther. Young and old alike know and love everything that Luther has ever been. There truely will never be another that compares to the artist and person he was. His music will forever live within us. I was stunned to learn Luther died yesterday, especially when I thought he was recovering after watching an interview with him on Oprah Winfrey. Thanks for this list, EJ. R.I.P. Luther. The music will always live one. RIP Luther. Thank you for adding to the soundtrack of millions of lives. You’ll be truly missed. Go sing with the angels. One Love. EJ you a good dude for puttin this together. His passing hit me kinda hard because his music has been such a staple in my lifetime. He was the talk of the Essence Festival on Friday night. Everybody was dedicating their sets to him. I now knows how my Mom felt the day Minnie Riperton passed, because I felt the same way about Luther. R.I.P. Classic, classic – singing in the shower until your heart melts song. There’s a million different perspectives about the man and his music. Like him, don’t like him – you had to respect his artistry and the smoothest voice of all time. I’ll forgive his Momma for giving him a pasta label middle name. But I am seriously angry with her about that. “RONZONI?? ?” This is why we cannot get anywhere as a people. Can you believe I wasn’t a Luther fan until recently. I am now, but a late bloomer. Ok, don’t nobody go and throw anything at me. “Never Too Much”…that was the first song I thought of when I read the headline. Goodness…He will be missed. Thank you for this tribute and radio blog, EJ. I’m a HUGE Luther fan. I was on vacation when he passed. I cried like a baby when the news was delivered to me. Xquizzyt1 made a similiar CD for my birthday this year. Please, please, please provide me with a copy of this radio blog on CD. Luther’s “Superstar/Until You Come Back To Me (That’s What I’m Gonna Do)” is the best recording of any song EVER! 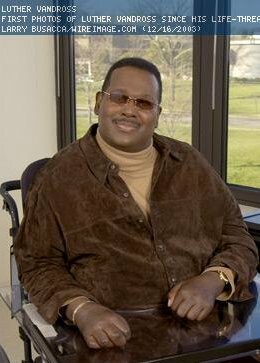 Luther Vandross has died at the age of 55. Still a Superstar. Update 7.4.05: EJ Flavors has an audio Luther Tribute. Luther, we are already missing you… I had a chance to see Luther perform live a few times… I love that way he made Stevie Wonder’s CREEPIN his own and he always killed it with the LIVE version I always looked forward to him doing this one particular song LIVE with the breakdown of CREEP CREEP CREEP CREEP CREEP CREEP… The MAW mix of Are You Using me always has me dancing. Beautiful tribute ej. I have a lot of wondeful memories of Luther’s music. He contributed so much to music and gave so much to others through music. I will really miss him. Uggh. What can you say about a man this gifted who has blessed us with 3 decades of REAL music that you can listen to with your man, your girls, or your momma and everyone can appreciate it. Damn. I can’t tell you how sorry I was when my mother delivered the news late Friday afternoon. *sigh* I won’t do a tribute on my site, because I knew Ms. Thing would do one and I wouldn’t be able to do him justice. But thank you for this. A musical tribute is perfect and speaks more than I think anyone could about him, his talent and his prolificness. i can’t believe i won’t be able to hear anymore songs from him, RIP Luther. I’m SO greatful for what Luther has left us! His gifts of music are so priceless. He lives forever through his classics. Thanks for this radio blog…I am LOVING IT. Thanks for this EJ. It reminds me that I wasn’t alone in my devestation. I cried as if he were a member of my family, like a favorite uncle had passed. And then I remembered Luther songs being with me virtually my entire life. I truly feel like I lost my favorite uncle. RIP Luther!! You are loved and will be missed. Seems Luther has been a part of my musical life since I can remember. What a loss but we are eternally blessed to have had him for the short time we did. beautiful tribute…thank you SO much for the radio blog. gawd i miss that man…. There are few songs that have been committed to mylar/wax that have the singular ability to lay me out, flat, with tears streaming from my eyes. Luther’s rendition of “Superstar” is one such song. No matter where I am, or what I’m doing at the time when the song comes on, I pause and revel in the exquisite pain, the delicate agony, and the years upon years of worldweariness that Luther conveys. The world is a darker place now that he’s gone — and this is coming from someone who never really considered herself much of a fan. Thank you for this stream. ITS NOVEMBER,FOUR MONTHS AFTER THE DEATH OF LUTHER AND I JUST FOUND OUT. MY DAUGHTER HAD A TRIBUTE TAPE OF HIM AND THATS WHEN SHE TOLD ME HE PASSED AWAY. I CANT TELL YOU HOW DEVISTATED I WAS TO HEAR THAT. THE LAST I KNEW HE HAD RECENTLY HAD A STROKE BUT WAS DOING WELL. IM LISTENING TO THE TAPE RIGHT NOW AS I TYPE THIS WITH TEARS IN MY EYES BECAUSE ALL THESE SONGS BRING BACK SUCH GOOD MEMORIES OF MY PAST AND HIM SINGING THEM. I CAN HONESTLY SAY HE WILL BE VERY MUCH MISSED AND MY HEART GOES OUT TO HIS FAMILY AND THEIR HUGE LOSS. HE WAS A MAN WITH A BEAUTIFUL GIFT FROM GOD. HIS SONGS WILL LIVE ON IN MY HEART ALWAYS. REST IN PEACE LUTHER. MWAH…. OK, I must have been completely self absorbed when you posted this…I totally missed it. Glad you reposted a link to this playlist since I missed it the first time. Need one BIG favour from you: can you send me “make me a believer”?